Shout Out to the IMCS Guides! This morning we want to give a shout out to the guides of the International Mountain Climbing School – the hometown heroes of the Mount Washington Valley Ice Fest. This crew has an incredible amount of experience climbing and adventuring in the White Mountains and beyond. Both personally and professionally, these guides have done it all and being out climbing with any of them is always a treat! 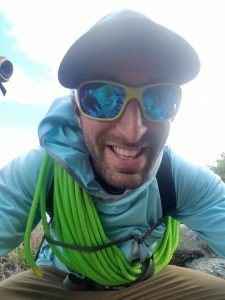 Chris Magness has been missed in recent years due to his extended stints in the Pacific Northwest where he has been guiding huge objectives in the Cascades. Now that he’s back in town, we are psyched to see him again and to tap into his skill set and knowledge for a Glacier Travel & Crevasse Rescue Clinic. We’re also grateful for Chris’s work as a founding member of the nonprofit, Keep the Whites Wild. 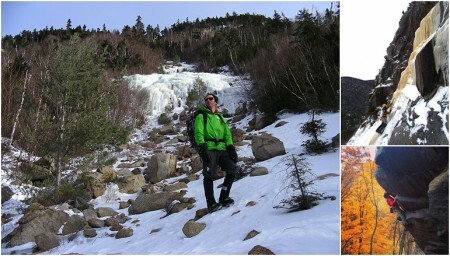 Craig Taylor has been working as a guide in the Mount Washington Valley for 24 years. In that time he has become well-versed in all forms of guiding and has served as an advocate for the profession. The dude is psyched on guiding and is a proud father. An excellent and knowledgeable instructor, be sure to check out his and Alain Comeau’s 1 Day Ice Rescue Clinic, sponsored by Sterling Rope! 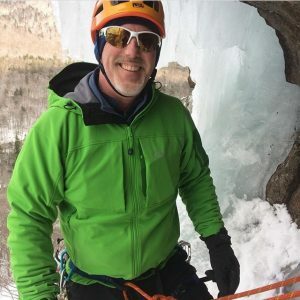 Chris Graham’s 25 year climbing career, he has established numerous first ascents in New Hampshire, climbed all over the American West, and travelled internationally to Ecuador and Peru. Guiding for over 20 years, “Grammy” is known to be a thoughtful and patient instructor on the rock, ice, and alpine zones that New Hampshire offers. Joan Veilleux has dedicated her professional life to helping others. Whether it is those struggling with their health or those who wish to push their limits by going climbing, Joan is an excellent advocate and mentor. She has guided all over New England and is known for her patient teaching and calm demeanor. Perfect skills for working with beginners and those attempting an objective such as Mt. Washington! 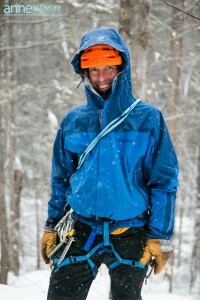 John Kascenska is the go-to guy for IMCS’s avalanche curriculum. Having taught over 100 AIARE courses, this guy is dialed and it’s no wonder that the avy courses fill up so far in advance. 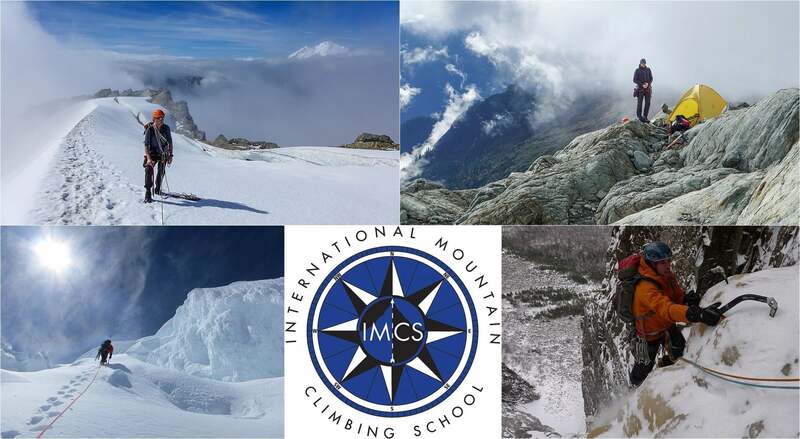 Sorry that we are full, but look for more dates on the IMCS website – there are still a few spots left later in the season! When John isn’t out with a beacon, shovel, and probe, he can be found at Lyndon State College where he founded the Adventure Leadership degree program. AJ Hunter is often found hustling around the gear shop at IME, but we were lucky enough to steal him away for Ice Fest weekend! Which is awesome because AJ is a great, patient teacher who always puts his clients’ comfort and care before all else. With climbing experience from Alaska to Nepal, this is one good dude to spend a day in the mountains with! Sue Barnett is a hard one to pin down these days. 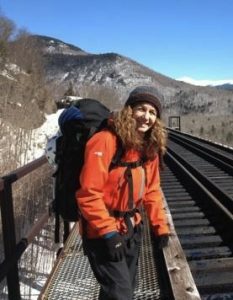 More often than not, she’s spending time taking care of patients as an EMT on the local ambulance or teaching others the wilderness medicine skill set as an instructor for SOLO. 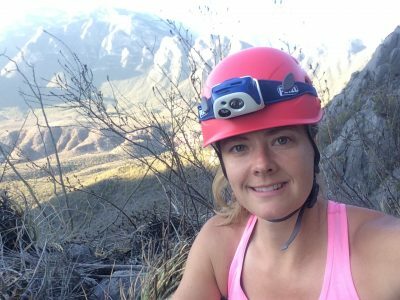 For her, it’s all about teaching folks to be safe and have fun in the outdoors. Fortunately for us, she likes guiding too! 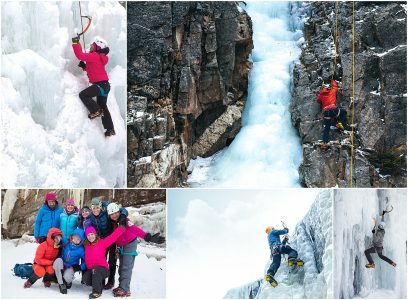 Ice Fest Clinics Are Filling Up! Hey Folks! Just a friendly reminder that clinics are filling and and to not wait, or you may miss out on nabbing the clinics you’re most psyched for! Below is some beta on some awesome clinics that still have some room in them! 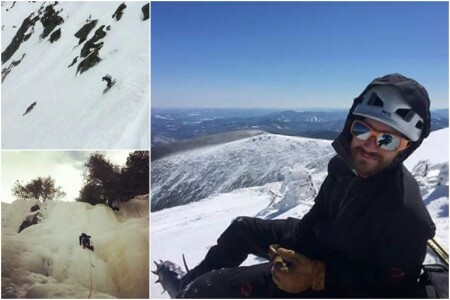 Every year, the guys at the International Mountain Climbing School work super hard to make the Mount Washington Valley Ice Fest an awesome experience for all. This crew has all the local beta and a ton of experience. From Everest to Alaska, from steep waterfall ice to glacier travel, this posse can do it all! Today, we want to introduce a few members of the crew! Paul McCoy has been rock climbing since ’94 and ice climbing since ’98. 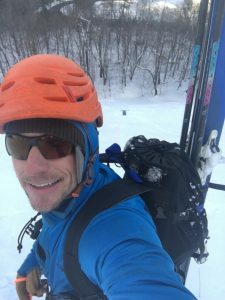 He moved to North Conway in 2002, inspired by the mountains and the infinite possibilities for climbing and backcountry skiing. 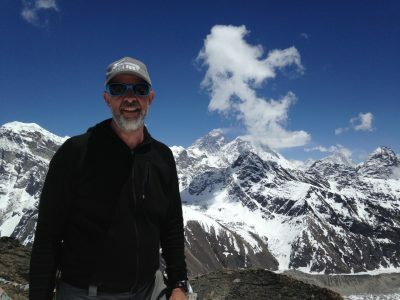 Paul has climbed throughout the american west as well as abroad, including Northern Spain, New Zealand’s southern Alps and Mt. Arapiles in Australia. Since 2008, Paul has been sharing his passion for climbing at IMCS. Ice Fest is his favorite climbing event because it brings the community together! 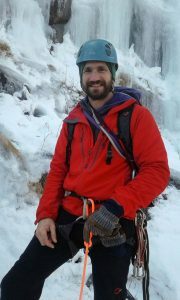 Paul will be instructing Friday’s Mount Washington Ascent, Saturday’s Ice Climbing 101, and Sunday’s Alpine Style Climb. Jon Garlough was born and raised in the granite state. He can often be found bushwhacking around the back country cliffs of New Hampshire developing crags and putting up new routes. He loves climbing areas that are off the beaten path. Jon has been guiding or IMCS since 2012. 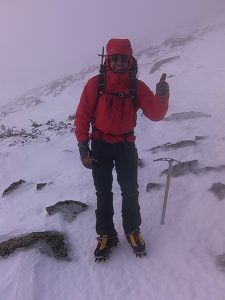 Get out with Jon during Saturday’s Snow and Ice Skills Clinic or during Sunday’s Mount Washington Ascent. Chris Magness is a long time IMCS guide. He loves sharing climbing with others. Chris has put up new routes in the area and in a great guy to learn from. You can get out with Chris during Friday’s Snow & Ice Skills, Saturday’s Alpine style Climb, or Sunday’s Mount Washington Ascent. This morning we would like to welcome back a couple of our talented IMCS Guides! Welcome back Max Lurie and Conrad Yager. Max first got a taste of climbing as a teenager with Outward Bound in Vedauwoo, Wyoming. That was it! He was hooked. Max’s passion for ice, mixed and alpine climbing has taken him on expeditions to destinations like Alaska, Iceland and Peru! He loves guiding in New England because of the wide variety of terrain and conditions. Max is one of IMCS’s strongest and most talented ice and mixed climbers! You will have a blast climbing hard with this awesome guide! Conrad is a true and humble New England hardman! Conrad has such a chilled out demeanor, but don’t let him fool you! He gets after it when it is time to climb! He may look familiar to you because every-time you open up your guide book to North East ice climbing your looking at him on the front cover crankin up Frankenstein’s classic hard route Alucard. He started his climbing career in Marine Corp where he worked as a climbing instructor from 1988-1995. After his Marine service Conrad started guiding in New England and has been teaching ice and rock climbing courses ever since! He is also an AMGA certified rock instructor. Conrad has climbed in Nepal, Alaska (ham & eggs on the mooses tooth), Ecuador, Spain, Malta, Thailand, Canada, California, and Arizona. And oh yeah did we mention he has hit up almost all the the WI5 climbs in the North East!